David began work on this 1:5 scale P-51D in March 2005 and donated it to the Royal Air Force Museum, Cosford in September 2013, shortly after completion. 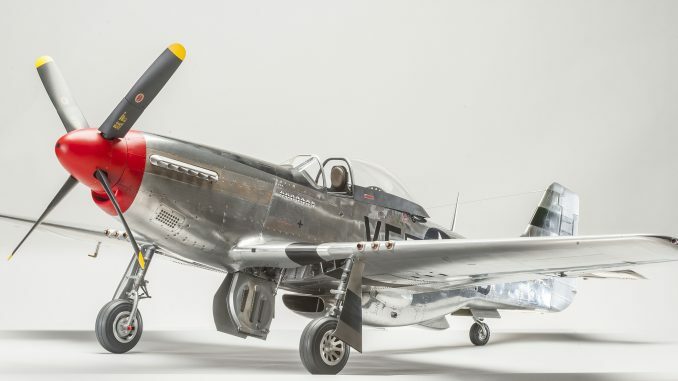 PRESS RELEASE – Now on display at the Royal Air Force Museum Cosford is a 1:5 scale scratch built North American P-51D Mustang. This unique model took almost ten years to build and was kindly donated to the Museum in autumn last year. This remarkable Mustang model now forms a centre piece display in the Museum’s Visitor Centre where visitors can view all its intricate details up close.The model is the work of retired journalist and avid modeller David Glen and was built in tribute to the US pilots and crews who gave their lives in support of their European allies over two World Wars. At over 6ft in length with a wing span of over 7ft the model bears the markings of VF-B 413317, the aircraft flown by Captain Donald R. Emerson, 336 Squadron, 4th Fighter Group who was killed on Christmas Day 1944 during the Battle of the Bulge. During the planning stages, scale measurements and other data were taken from a variety of sources, among them the Smithsonian archive in Washington DC. David’s references include all the P-51D handbooks and manuals and the entire set of North American production drawings, from which all the detail parts were built. The model went through several processes during the building stage and was constructed from plywood profiles and sections, in-filled with solid balsa providing a rigid and stable wooden core, over which the litho skin was formed and glued. 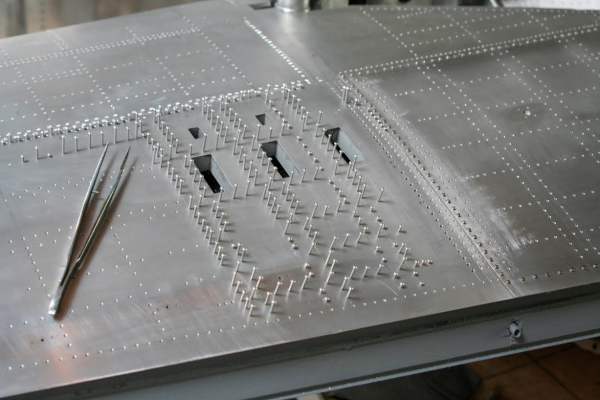 Every rivet was placed individually into holes drilled through the skin and all the visible screws, bolts and nuts were replicated using real brass or steel fastenings. Building such an intricate model from scratch came with its own difficulties. Working with rivets of 1/6 inch in size using tweezers and a tiny dab of glue was a tricky and time consuming process. Manufacturing numerous resin parts including tiny instrument bezels, airscrew blades and wingtips each had their own individual challenges, but none as challenging as building the cockpit canopy. This complex model is an engineering marvel and the attention to detail even includes data plates, complete with all the original logos and lettering, many of the plates are smaller than a £1 coin. This is the second model David Glen has donated to the RAF Museum. His first donation of a similarly scaled Spitfire Mk.1 is on display at the RAF Museum London, where the real North American P-51D Mustang can be seen on display. Click HERE for more picture of this amazing model. For more information on the Museum, visit www.rafmuseum.org or call 01902 376200. 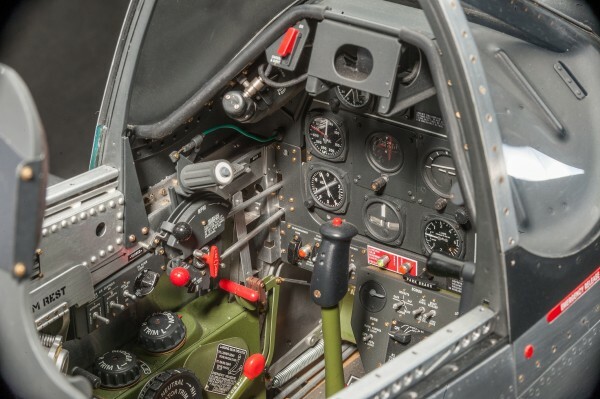 Keep up to date with the latest news and event information by following us on Facebook – Royal Air Force Museum Cosford or on Twitter @RAFMUSEUM.